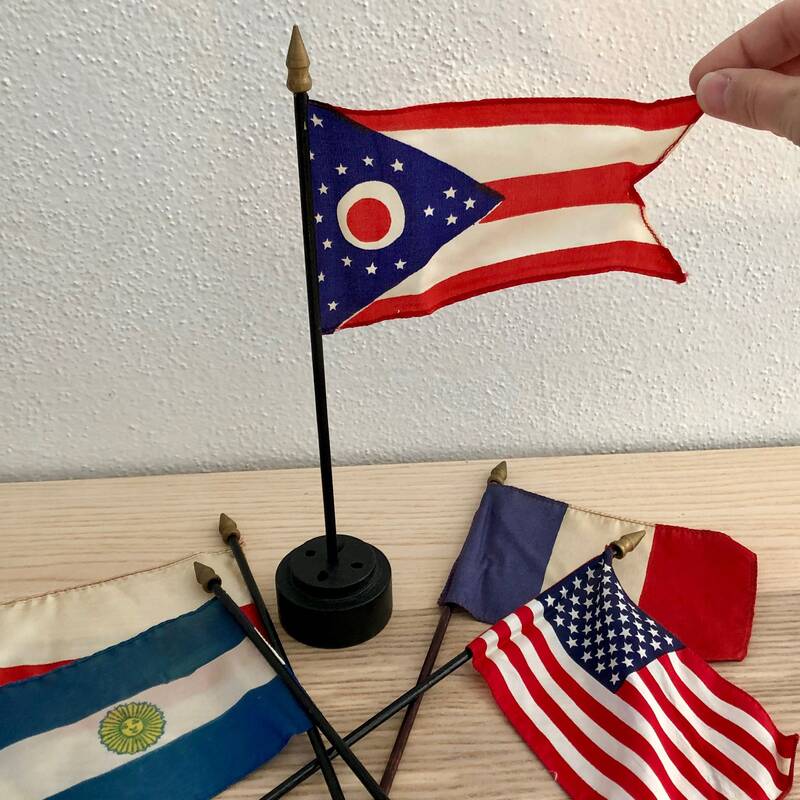 I love these mini flags and I'm not sure why. I just think they are so cool!! 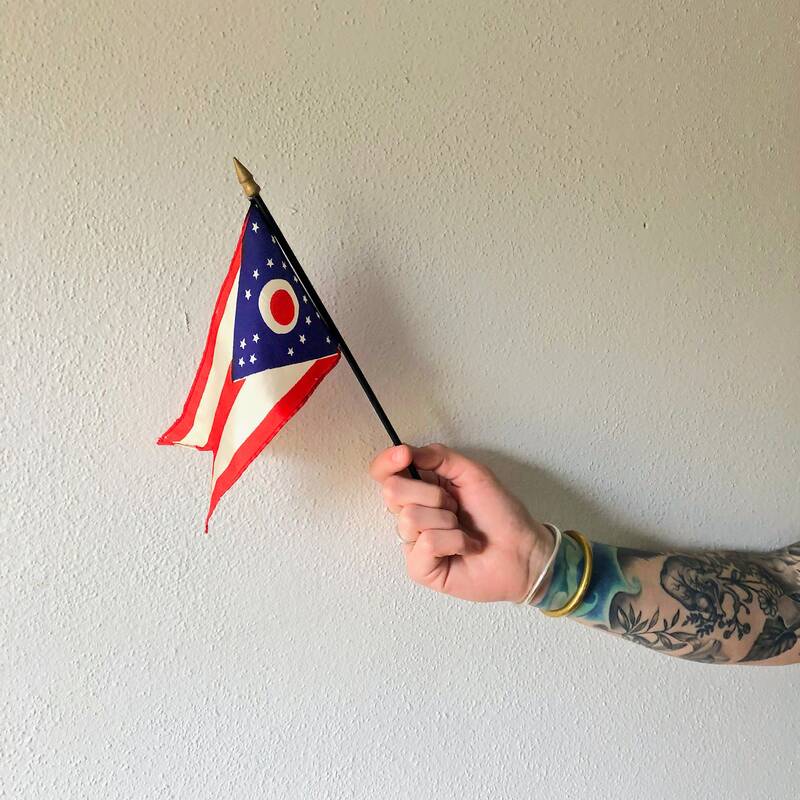 I had to do my research, but this flag is the Ohio State flag! So cool! I am pretty sure these are printed on silk. I have tons of these, please let me know if you're looking for a specific country or state. Small small pin point size hole, otherwise in great condition.